E80 Attells. 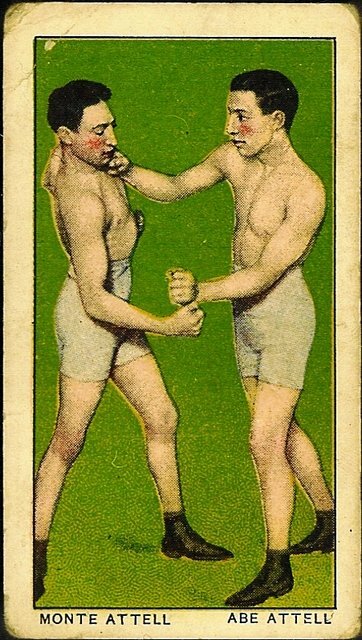 E80 is one of the more difficult 20th century boxing sets. E80 references 44 Scrappers on the card backs, which have a complete checklist of the set. There is overlap between E79 and E80; very likely the 79 red backs were some of the cards listed on the E80 backs.